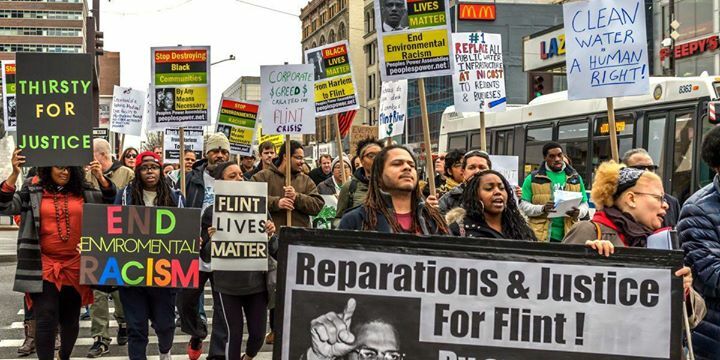 For the next discussion we will be reading “Democracy, Disposability, and the Flint Water Crisis”, which is an essay from the blog Third Coast Conspiracy, which produces anti-capitalist & anti-state analysis about Michigan. In this text they discuss the history of Flint’s de-industrialization, the Flint water crisis, and draw conclusions about anti-blackness and premature death in the contemporary world. The second chapter of Black Looks: Race and Representation. This chapter analyzes how blackness is viewed by white people as being more intense, authentic, and therefore threatening. A commodified form of blackness is sought after because it is seen as more pleasurable. A historical overview of decentralized organizational methods of resistance, including that of maroon societies. Read & Revolt is a discussion group seeking to analyze this society and the potential for liberation from an anarchist perspective. We meet the first and third Tuesday of every month at Boxcar Books, from 7 – 9 PM, to discuss readings collectively decided upon beforehand.